Click HERE for CIAC Website with all results (separate tabs for Singles & Doubles). Staples Wins Class LL Team Championship!!! First Wrecker Doubles Championship since 2006 clinches 1st place over Greenwich by 1 point 20-19. All ten Staples players contributed victories in the tournament. This is the 1st time Staples has won the FCIAC Championship and CT State LL Championship in the same season since 1982. Staples won FCIACs and Class L in 2000. Staples completed a perfect season 21-0 in match play. For more pictures of Staples and other action including non-Staples players, see albums under PHOTOS page for each day of the LL tournament. Players are encouraged to download any photos — at no cost. Congratulations to Greenwich & Amity on a great tournament! 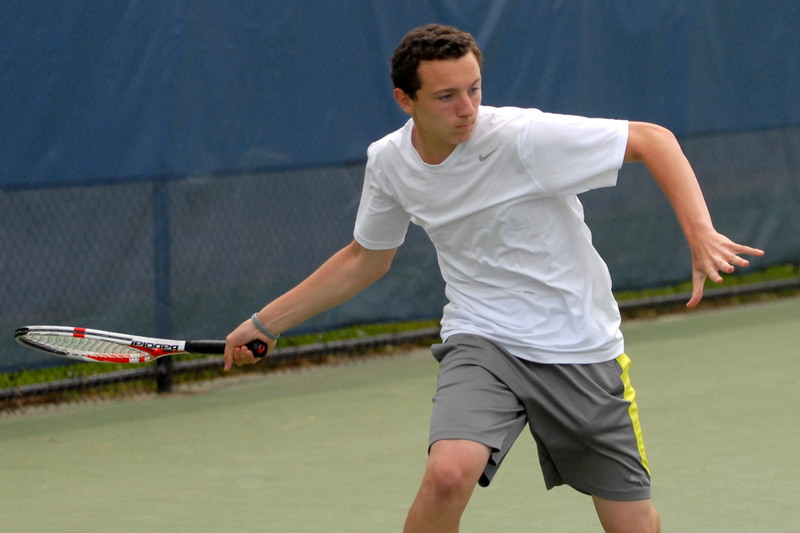 Congratulations to Class LL Singles Champion freshman Richard Ciamarra of Xavier!